When you visit The New Cockrell’s Body Shop, you’ll find technicians who have been servicing the Mobile area for over 75 years. With high quality, outstanding service, and speedy turnaround for all our auto body repairs and services, we strive to provide ultimate customer service satisfaction for those who need their vehicles quickly. 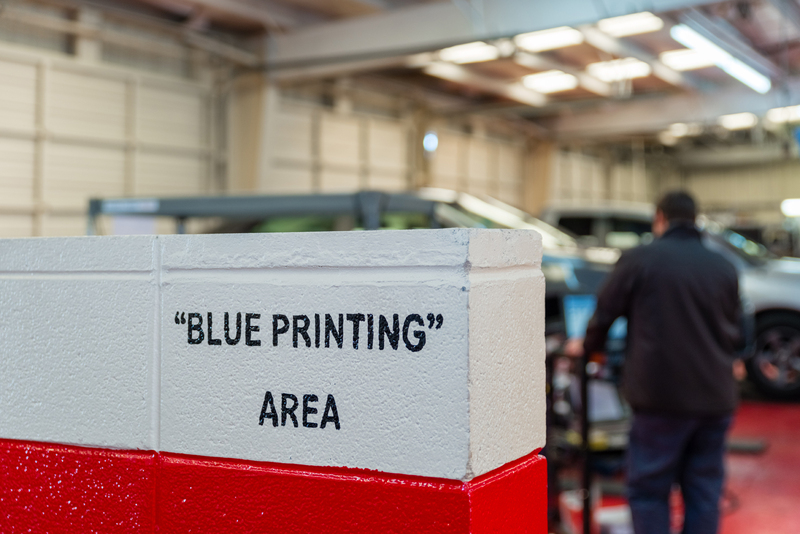 The first stop for every vehicle that is dropped off for repairs, this “Blue Printing” area is designed for maximum efficiency. When you drop your vehicle off, it will have its own designated cart for all parts removed. This allows our technicians to provide thorough estimates and damage analyses, which helps guarantee speedy repairs. No parts will be temporarily misplaced or accidentally trashed! Then, we require 100% teardown so to quickly analyze and assess the damages that were incurred by your vehicle. We have a dedicated frame machine for vehicles that need a “pre-pull” to ensure panels and/or structures are repairable. This helps us determine which parts need to be completely replaced, if necessary. From there, we designate a dedicated parts person for mirror matching. This means that any replacement parts for your vehicle are inspected completely or mirror matched to make sure the new part is correct and fits exactly to the original part of your vehicle. For vehicles that require simple bumper repairs or small ding repairs, we have set up a dedicated area with a technician for these fast track repairs. This allows us to offer a 0 to 1 day cycle time – a unique service in today’s auto body repair industry. Once the bumper is removed, the vehicle is sent to our clean-up department for cleaning. While that is going on, the bumper is being repaired and refinished. When the vehicle cleaning has been completed, the new bumper is reinstalled on the pre-washed vehicle. 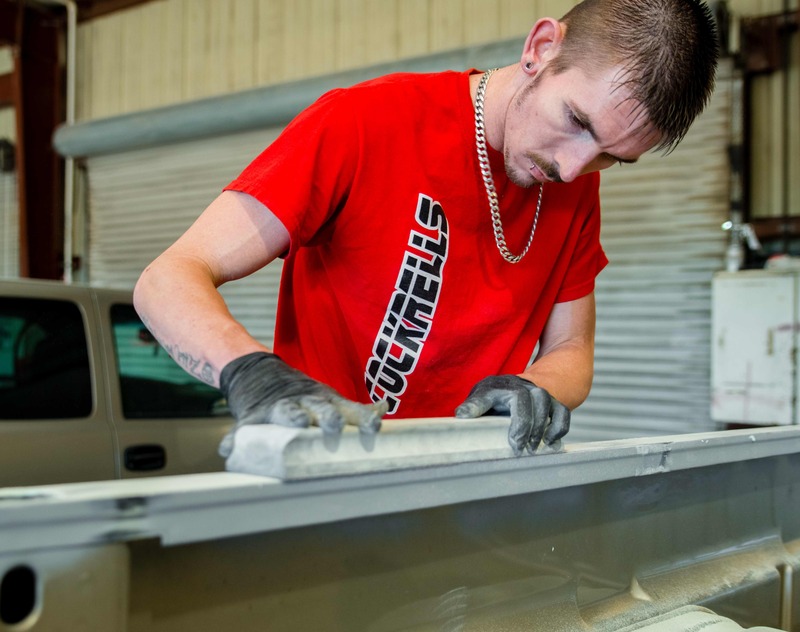 The unique benefits of Cockrell’s Blue Printing Repair and Fast Track Repair help eliminate potential delays of supplemental parts and unforeseen damages. This unique repair system helps us plan a complete auto body repair for your vehicle in a speedy timeframe. Quality, Service, and Speed are our benefits to you, our valued customer!